Most of us were trained to believe that we needed to be extremely careful when helping clients face the really difficult truths in their lives—especially their own obnoxious, selfish, or self-defeating actions. Better to err on the side of going slow, creating safety, and remaining neutral than to come across as pushy or disrespectful. Nevertheless, my own experience as a couples therapist has taught me that we aren't doing clients a favor by soft-pedaling difficult issues, despite what my early supervisors tried to instill in me. The approach I've developed, Relationship Life Therapy (RLT), is based on the premise that it's disrespectful to clients not to let them in on the truth about what we witness regularly in our offices as they play out their relationships in front of us: the ways they deal with their partners are often self-centered, unfeeling, and counterproductive. In some ways, the guiding principle of RLT is to be able to say to clients what we might otherwise say only to our colleagues in our supervision group or around the water cooler after a tough session. Instead of confiding, when they're out of earshot, something like, "I can't believe what a witch she is to him. He's such a Caspar Milquetoast," I believe that's what you need to say—skillfully and respectfully—in the session with the couple. Some would call this approach confrontational, but I think that term is misleadingly adversarial and addresses only half the process. I think the quality of directness I'm talking about is better described as joining through the truth. There are two parts to this approach: the first is to hold a mirror up to our clients to help them see themselves and their role in the dysfunctional dance of their relationship as accurately and fully as possible; the second, which is where the real nuance and clinical skill comes in, is to show them the difficult truths about themselves in a way that leaves them feeling not only that we're on their side, but that we're actually rooting for them. David takes a seat on the couch in my office, alongside his wife, Sarah. He fiddles with his yarmulke the way another man might fidget with his tie. At 42, he's handsome and well-built. He radiates strength, self-confidence, trustworthiness. And yet…the yarmulke adjustment. As he glances sideways at Sarah, he seems nervous. Sarah recalls a recent instance where David accepted a dinner invitation from neighbors on their behalf, only without consulting Sarah first or informing her that they’d be attending. She didn’t have plans, but even so, Sarah says, only at the last minute did David inform her that they’d been invited. "A small thing, a small thing, maybe, but I felt invisible. And as far as I'm concerned, that's why we're here—because David hears what David hears, and David does what David does. He's not mean; he doesn't bully. He's the world's nicest guy; ask anyone. But if he woke up in the morning and found me sprawled on the stairs with my throat slit, he'd step over me and ask if I wanted some coffee. There are times when it feels like I don't even exist," she says, punctuating each word for emphasis. A cardinal principle of couples therapy as I learned it was: Thou Shalt Not Take Sides, and particularly, you're not to side with a woman against a man. Evenhandedness is critical, I learned. If you lost your "therapeutic neutrality," you had to go talk to your supervisor. But I'd heard enough, not just in this moment, but also in others from previous sessions, to convince me that Sarah's complaint had the ring of truth to it. She was right—David didn't listen. I turn to David. "This is the part, my friend, where I say, 'I can be nice to you right now, or I can work to save your marriage. What's more important to you?'" David sighs, a big sigh. His hand stretches up to his yarmulke. "Bring it," he says grimly. "Thank you," I answer. "So, take a breath; this might sting a little." "I'm good. Go ahead," he assures me. "Your behavior, which would drive most women crazy," I tell him. "As in rip her hair out." He nods quietly, taking it in, not fighting me for the moment. Next to him, Sarah does what many women do at this juncture—she begins to cry, not from pain, as she later explains, but from relief. She's dragged her husband to three therapists before me. Until this minute in this session, no one has ever taken him on. Through the years, I've seen many frustrated wives like Sarah in my office—women who, often at no small cost and courage, manage to drag their difficult, even psychologically abusive, husbands to therapy, only to have the therapist throw them under the bus for the sake of evenhandedness and neutrality. 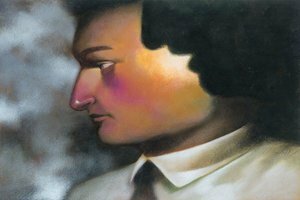 "Our previous therapist never once confronted David," Sarah complained to me in one session. "Over the course of a year, he built up enormous credit with my husband. The only problem was that he never spent one penny of it!" The conventional wisdom of couples therapy aside, I don't believe that partners share 50-50 responsibility for all their issues with each other. Some couples issues are 70-30, some 90-10. One partner can have an untreated bipolar disorder or be an alcoholic rager, while the spouse's major "contribution" is simply being there. An RLT therapist has no problem saying something like, "OK, Mr. Jones, you're a nut. And Mrs. Jones, you're an even bigger nut. Here's why...."
In traditional therapy, once we've secured an alliance with our difficult clients (which may take months or even years), we may then finally feel ready to tell them the difficult truths. In RLT, as soon as we've gained the leverage that sets the stage for therapeutic change, we form the therapeutic alliance by telling clients the difficult truths right out of the starting gate. To be sure, the approach I'm describing requires therapists to move beyond their comfort zone and step out from behind a veneer of calm neutrality. But I believe that in order to teach our clients how to be authentic and connected, we must be real with them ourselves. If our work with troubled couples is to move to a new level of effectiveness, we need to consider how well our traditional assumptions about relationship, change, and our own roles are serving us and our clients. I've found that the couples I see are ready to meet the challenge of examining themselves, of becoming explorers in what is, for them, uncharted territory. The question for the field of psychotherapy is whether we're ready to meet that challenge ourselves. Terry Real, LICSW, is the author of the bestseller I Don’t Want to Talk About It: Overcoming the Secret Legacy of Male Depression and has been featured on numerous national news programs. He’s been in private practice for 30 years and is the founder of The Relational Life Institute, where he teaches therapist trainings and workshops for couples. This blog is excerpted from "Joining Through the Truth," by Terry Real. 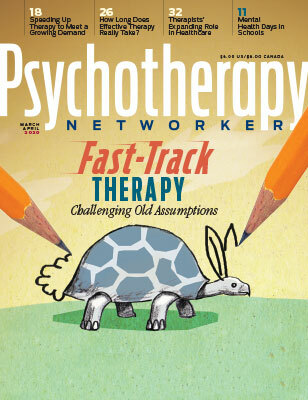 The full version is available in the November/December 2012 issue, The Rise of Therapeutic Coaching: Is the Game Changing? I'm puzzled with the position here that implies that if the therapist is respectfully challenging either partner, then they are somehow stepping away from a position of neutrality. Surely the challenge for all good couples therapists is to speak to the hard topics, regardless of who has the biggest issue or the most issues. Supporting one or other partner around a particular issue can still be achieved without loss of neutrality. If therapists fear they do not have the ability to hold on to neutrality, it can be helpful to remind themselves "I am here for the relationship. " I have been to workshop presented by a therapist trained by Terry Real and read his books. I'm not a therapist, but have a masters in Behavioral Sciences. I have also been married (increasingly happily) for 46 years. We have both had therapy--myself a lot and him a little--and some couples therapy. I absolutely agree with Terry Real's approach because, as is explained in his books, he helps people understand why they are the way they are (family of origin issues) and thereby engenders the clients' self-compassion and because clients witness their spouse's work, they are enabled to extend compassion and understanding to their spouse. IMHO truth is crucial to psychological and spiritual healing. Excellent! All interventions can be done with kindness and directness. After all we are there to suss out patterns that are elusive to the couple so that ultimately they can be happier together. I think the biggest lesson I've learned out of my divorce journey is the fact that you have actually an obligation not only to yourself but to others a responsibility to always speak your truth. If this activity is approached with love and kindness, you are never at fault for having done so and in fact both you and your audience (a healthy listener) become so much richer in humanity as a result. One of the most significant stories (much like “Ghandi”) that always stuck within me since it’s airing was the story of Steven Biko told in the 1987 film “Cry Freedom.” https://www.youtube.com/watch?v=iq4VjE0_AVQ While I admired his tenacity to stand up and speak his truth, I somehow felt it was only relevant or necessary in the oppression of basic human rights. I have now learned how important and significant both speaking and listening skills are for all people, all situations, and all relationships. Speaking your truth in all circumstances, small or large, with a love for humanity at it’s core inspiration is the “ounce of prevention” to curtail future human rights violations. My 0.25? Sometimes directness and honesty are part of being genuine and authentic with clients. Sometimes too, the therapist's job is to help point out the big old ephelant in the room.